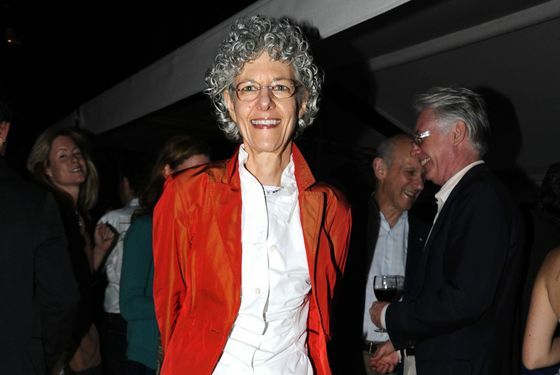 Over the course of most of those fifteen years, Freedman had put all of her influence and credibility as the president of Knoedler & Company, until recently one of New York’s oldest and most respected art galleries, behind what she believed to be a treasure trove of newly discovered modern art by the biggest names in Abstract Expressionism. In May, federal authorities announced that the paintings — 63 in all — were fakes and charged Glafira Rosales, the obscure art dealer who supplied Knoedler and at least one other gallery with the paintings, with tax evasion. Earlier this month (five days before Freedman spoke those words), the feds spelled out the details of the long-running scheme in a follow-up indictment, charging that Rosales had never, as she claimed, represented the son of a mysterious anonymous collector. Rather, she allegedly paid an artist in Queens (73-year-old Chinese-American painter Pei-Shen Qian,according to reports) as little as $5,000 each to create the counterfeit masterpieces. Freedman, who spoke publicly about the scandal for the first time in a series of recent conversations with New York, says that the results of the federal investigation prove she was an unwitting agent in the scheme. Under her leadership, Knoedler sold 40 of the fakes for an alleged $63 million. Before shutting down abruptly in late 2011, the gallery made a $20 million payment to Rosales. According to the indictment, the saga began in the early nineties when Rosales approached Freedman with a fabulous tale. She claimed to represent a foreign collector who “was of Eastern European descent, maintained residences in Switzerland and Mexico, wished to remain anonymous, and had inherited the works ... from a relative.” Based on this account, Freedman came to call the relative “Mr. X” and the anonymous seller “Mr. X, Jr” — of course, neither existed. Over time, Freedman came to see the paintings’ lack of provenance as a challenge to overcome. What they were missing in the past, she would make up for in the present. By placing them in the best collections, she would give them a footing. Freedman saw a mandate to sell — and sell she did. “The point is that I believed that these paintings were genuine, that it was my responsibility to place them into the best of collections,” she said. Once the paintings were out there and established, she hoped “to get many of these works to come back together for a major museum exhibition that Knoedler would take part in.” Establishing these discoveries as accepted works, she believed, would in fact be among her greatest accomplishments at the gallery. “I felt that I was going to create a legacy for Knoedler with these newly discovered paintings, a treasure trove of paintings to bring out into the world,” she said. In 1977, at age 29, Freedman took a job at Knoedler — at the time, the oldest continuously operating gallery in New York. She continued to outperform and eventually took over the palatial central office of the gallery’s gilded-age Upper East Side mansion. The paintings from Rosales proved to be enormously lucrative for the gallery. 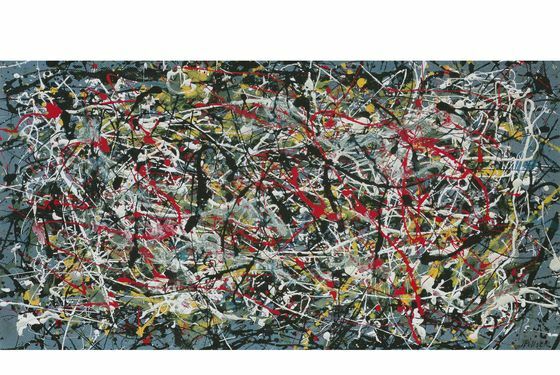 Among the sales were a “de Kooning” that went for $4 million, a “Rothko” for $8.3 million, and a “Pollock” for $17 million. She successfully built up a market for each of the paintings as they came in. “If something had been off or wrong on any one of the paintings, I would have put on the brakes,” she said. For over a decade as they emerged, the paintings were the envy of the art world. Art experts, conservators, and museum professionals praised what appeared to be a newly discovered collection of masterworks. But in 2009, forensic testing on two paintings supposedly by Robert Motherwell revealed paint chemicals that were historically inconsistent. Suspicion descended on the lot, and multi-million-dollar buyers agitated for their refunds. Meanwhile, the FBI began circling Rosales. Freedman, coming off a battle with lung cancer, left Knoedler just as these suspicions began to emerge. (She describes her departure as a management dispute.) Two years later, the 165-year-old business closed up shop, with no warning, the very same week the buyer of the $17 million Pollock sued both the gallery and Freedman. Robert K. Wittman, a former FBI agent who founded and led the Bureau's National Art Crime Team, told Daily Intelligencer that the buyers were taking a foreseeable risk. "With Abstract Expressionist and modern paintings, there was never any real cataloguing when the artists were alive, so things can pop up on the market that turn out to be legitimate," he said. "The problem is that because these paintings are modern, it is harder to authenticate them. What this does is put the buyers on notice. Unless a piece has really good provenance, forensics, and connoisseurship — the three-legged stool — the buyer shouldn’t buy on someone else’s word." Freedman has continued to be an active dealer despite the scrutiny of the Rosales case. She recently opened her own gallery, FreedmanArt, on East 73th Street, where she now represents Frank Stella, Lee Bontecou, and the estate of Jules Olitski, among others.